ecochick: Benjamin Moore Natura: Gorgeous Paint, No VOCs! Benjamin Moore Natura: Gorgeous Paint, No VOCs! In the neverending quest to actually get this joint in shape prior to ecobaby making an appearance, we've been anxiously comparing paint chips, wondering what the best colour is - and once we figured that out, we also had to decide on the right paint. Luckily, one google search brought us to Benjamin Moore Natura. This Award-winning product is one of the few "no-VOC" paints available on the market - not only looking at VOCs, but also at all volatile compounds in the paint that would affect indoor air quality. Both the paint and the tint emit lower total volatile compounds than any other national zero-VOC product in Canada. What does this mean in a practical sense? Well, low- and no-VOC paint tends to dry a bit quicker than many other paints, so it's a consideration when you're applying it. But other than that it works just like "regular" latex paint, with one big difference: The smell is far lower. Even after just having applied two coats, a room painted with Natura has as much paint smell as a room painted a week ago with regular paint. Which is great when you've got paranoid pregnant people around! In Primer, Flat, Eggshell and Semi-Gloss and able to be tinted to any colour in the Benjamin Moore Collection, Natura is an easy choice to make for eco-friendly home designers. Check out Benjamin Moore's Website for retailers. Homestead House Paint Co. is a local Toronto based Paint Manufacturer that offers all natural milk paints- Zero Voc's. Their 100% acrylic paints are absolutely excellent. There's something about supporting small and local that never gets old! Did you actually use this paint or just believe all the hype about this paint? I have used other zero VOC paints and the Natura has the strongest odor. In fact, it remains for weeks and weeks. When I noticed how strong the fumes were, I stopped painting, thank goodness. Went out and bought the ICI no VOC paint - truly a no odor paint. Benjamin Moore must have used some nasty no VOC chemcicals to compenstate for the VOCs. If you have allergies or a respiratory condition or kids or you just don't like the smell of strong paint, DON'T BUY NATURA. You will definitely regret it. I have used Natura and the medium grade EcoSpec WB. Both are zero VOC paints and have literally no smell with the biggest difference being that Natura is thicker which increases coverage and is about 20$ more expensive. I have to disagree with Mr/Mrs "Anonymous". I have recommended and sold Natura & EcoSpec WB to Retirement homes, Hospitals and Schools and have never had a single complaint associated with smell. I painted FIFTEEN MONTHS ago and I am still waiting for the smell to subside. All you have to do is google "Benjamin Moore Natura paint review," or "Benjamin Moore Natura paint fishy smell" and you will read about the problems people are having with Natura paint. Apparently not all cans are defective, but some definitely are. I have a file almost an inch thick with complaints I've found all over the internet. These are often people who chose the "zero VOC" paint due to a respiratory or chemical sensitivity problem, so this is a very serious problem for those affected. I painted child,s room with BM Natura a year ago, still smells very badly. Any advise what to do? 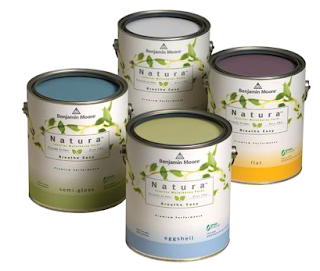 Benjamin Moore & Co. is making the following announcement concerning its Natura Brand paint. Certain batches of Natura flat and eggshell finish paint manufactured prior to 2010 were made with a defoamer that contained canola oil that in certain circumstances caused some consumers to experience a persistent odor problem after the paint was applied. In early 2010, the Natura flat and eggshell finishes were reformulated to replace the defoamer. This eliminated the odor problem. Batch numbers for Natura flat and eggshell finishes containing the defective defoamer are listed below. Benjamin Moore retailers were instructed to remove the old paint from retail shelves in the summer of 2010. If you experienced an odor problem from Natura paint that was purchased prior to September 1, 2010 or is from one of the listed batch numbers, please contact our complaint line at (855) 724-6802 (855-paint-02). If you can identify the batch number from the paint you used, please have it ready. We stand by our products and will address all consumer concerns caused by the paint. I also use those pastel color paint in redesigning some of my furniture los angeles and I don't smell the paint anymore. I put some odor neutralizers to moderate the odor of paint. I think we should make some adjustments about it. I'm planning to buy office cubicles in long island and I would use this paint. I read that it dries faster and has no foul smell so we can still do office work on the other half of the office. We used this paint in renovating our apartment for rent legaspi village last weekend. I’m glad we didn’t smell some stinky paint even after we applied it in two coats. ecochick is cool, Canadian and environmentally friendly. 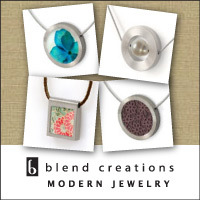 I feature the coolest green products I can find that you'll want to buy. Click here to read more about or contact ecochick. Yes, Yes, Yes to Carrots! Filter for Good: A Campaign To Reduce Water Bottle Waste. And a giveaway! Abby Sprouts: eco-friendly family shopping - discount code and giveaway! Or get ecochick posts sent straight to your inbox. Never miss a post again! EDUN LIVE: Organic t-shirts that help create jobs in Africa. sign up for the ecochick mailing list!